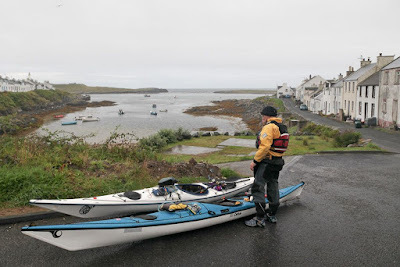 Tony and I had been trying to complete kayaking round Islay for several years and despite frequent visits, we had been unable to paddle the west coast of the Rinns of Islay. This was to be my third visit of the year and only a few weeks before, had already turned back from the Rhinns after meeting huge swell in otherwise benign conditions. Prior to this trip, a succession of days with SE winds had flattened the Atlantic swell, which is the "Governor" on this coast. 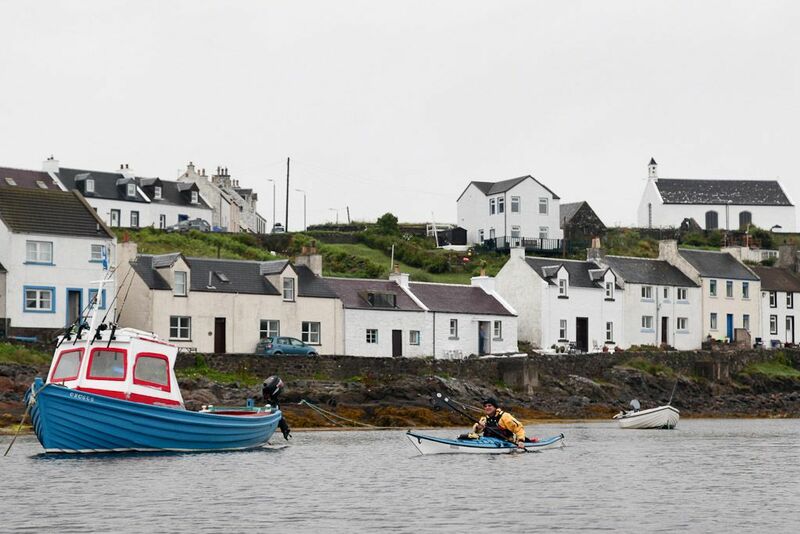 Although the weather was to be mixed, the tide times were ideal. It would be one day after neaps and the north going flood would start at about 0900 hours at Portnahaven on the south end of the Rhinns. 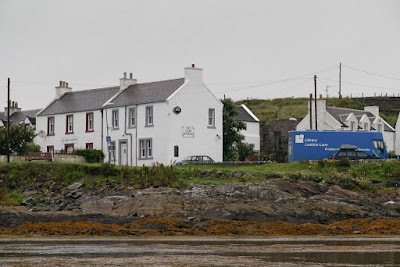 It was 0820 as we drove down the steep road into the tiny hamlet of Portnahaven. 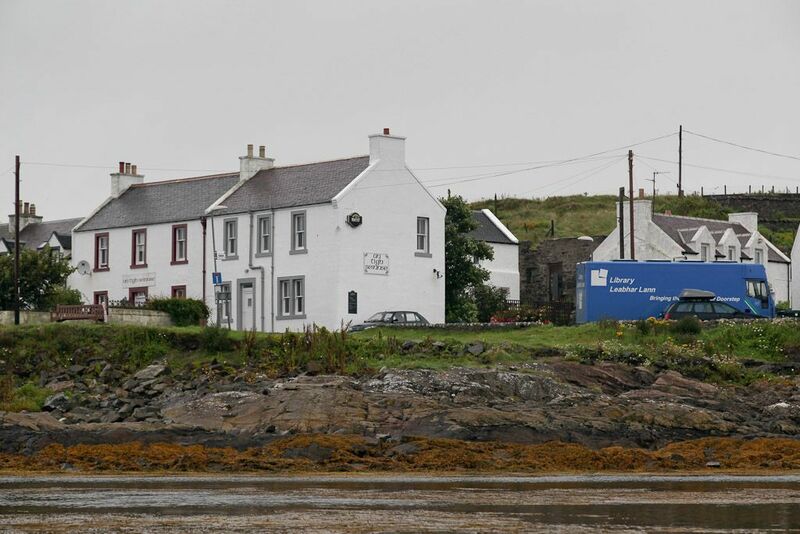 The hamlet almost impossibly manages to cling to the rocks of this untamed coast. In the shelter of Portnahaven it was difficult to judge the wind strength as it was SE and offshore. The smoke blowing horizontally from the chimneys suggested it was about 3-4. It was time for the Clyde coastguard Marine Safety Information (MSI) broadcast on the VHF marine band. "This is the inshore forecast for Mull of Kintyre to Ardnamurchan Point, issued by the Met Office at 0500 UTC Friday 6th August and valid until 0500 UTC Saturday 7th August. 24 hour forecast. Wind: SE or S 4 to 5 veering NW 6-7 later. Sea state: moderate or rough becoming very rough. Weather: showers, rain later. Visibility: moderate becoming poor." 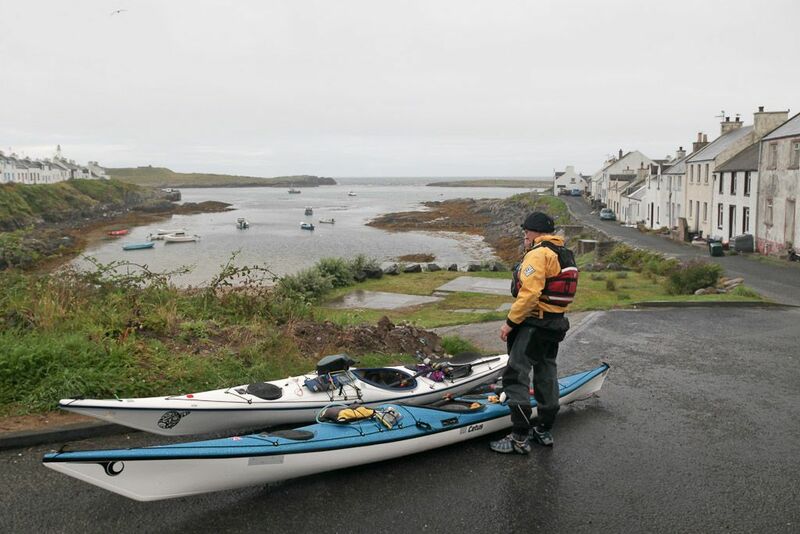 ...and after several visits to the public toilets, we launched in the calm of Portnahaven harbour. We passed the conveniently situated pub, An Tigh Seinsse (house of the singing) but it was shut and our mouths remained dry. ...these were the conditions which had caused us to turn back a few weeks before.